Music education has come a long way. What was once relegated to stodgy chamber music study and strict theory courses has expanded into fun niche offerings even the most rhythmically challenged can ace. In these standout classes, you can have your mind expanded and your face melted. A new offering for Spring 2013, Assistant Professor Joshua Tucker guides students through the advent of Country-Western, from the Carter Family all the way to Neko Case. Yee-haw! Raise those devil horns and sharpened pencils-- this class is gonna get loud! All the greats are taken into consideration here: Ozzy, Slipknot ... er, Stryper? The cool thing is that the course description boasts live performances from experts. So who knows-- maybe Tony Iommi will drop in for a riff or two. What's a list of university music courses without a Stones survey? As the syllabus puts it: "The relationship between the group and the major trends in rock music is highlighted, since a history of the Stones is, in many ways, a history of rock music in general." Truth. didn't offer a definitive description of some of its more interesting courses as of press time, but here are two that caught our eye: The Music of Radiohead (weird time signatures, ahoy!) and The Music of Anime and Animation (we're guessing it goes beyond Jigglypuff's theme song). 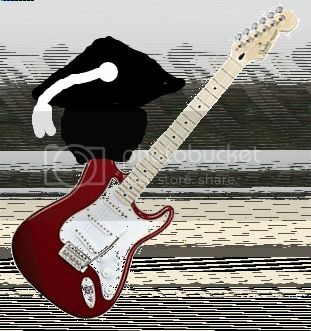 Do you know of any rockin' university courses that we missed? Tell us in the comments!